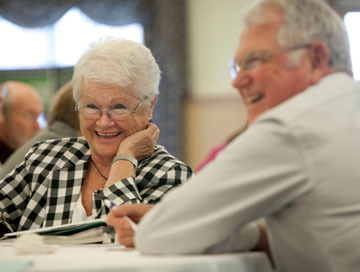 The program is a unique opportunity for everyday Maine people over 50 years old who care about the world around them to give back their community through volunteerism. Our workshops and classes will help you maximize your volunteer involvement in the community, promote change and resolve conflicts. 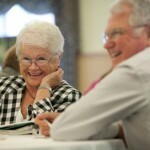 Each year, we train 250 older adults from throughout the state to be ENCorps volunteer leaders. We focus on environmental stewardship, grassroots leadership, food security and community development, with an emphasis on making decisions that protect and improve the quality of life for all community residents. A two-day summit includes training sessions with state and national leaders focused on improving and protecting the quality of life in Maine. The summit is followed with regular training opportunities, workshops and a monthly newsletter. matching support is provided by Jane’s Trust, Margaret E. Burnham Charitable Trust, and the Davis Conservation Foundation.